Joy loves Hello Kitty so much that she has turned me into someone who looks out for anything Hello Kitty. 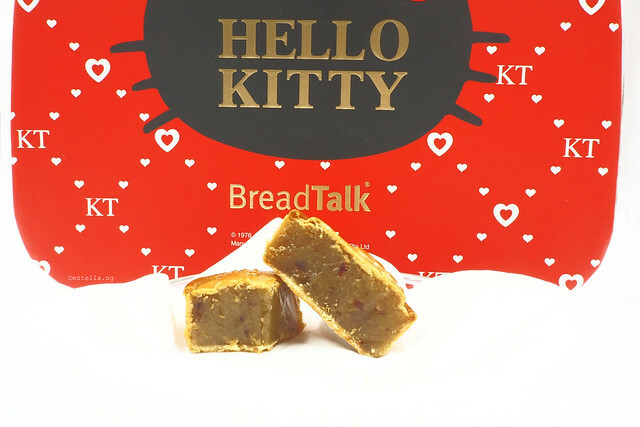 BreadTalk has been feeding the love for Hello Kitty in the form of mooncakes since 2013, complete with collectible Hello Kitty carriers. 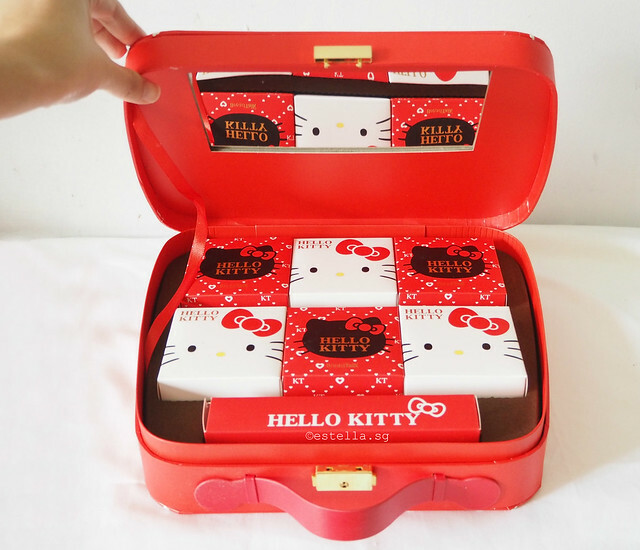 This year’s mooncake collection caught my attention because they come in a collectable makeup toolbox case! 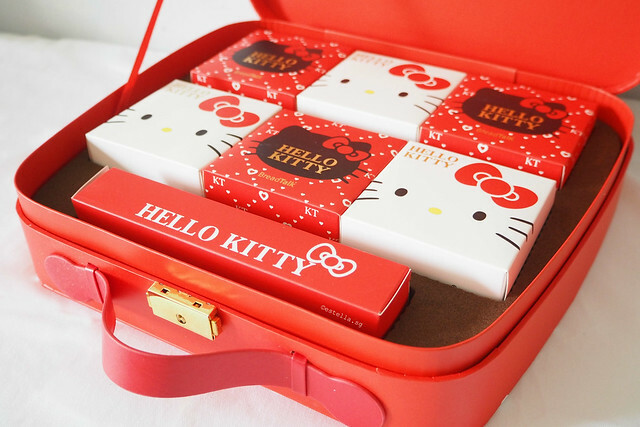 Three different types of mooncakes are individually packed into Hello Kitty boxes. 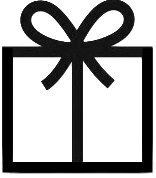 Guess what the rectangle box contains? Petite Fork and Knife set made of metal! 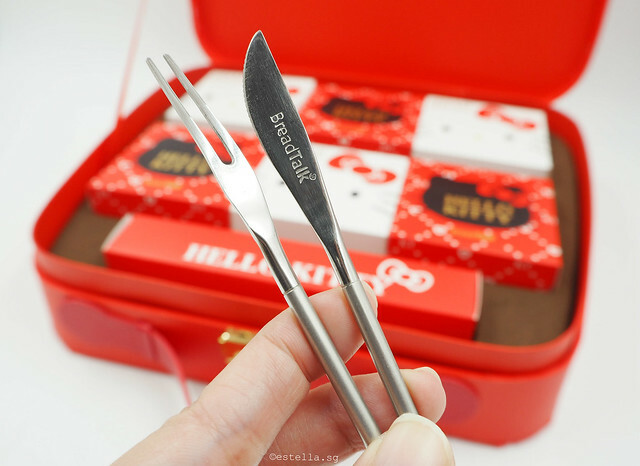 It’s common enough to have a petite fork or fork and knife set come with our mooncakes but getting metal ones certainly makes this mooncake set feel more premium. 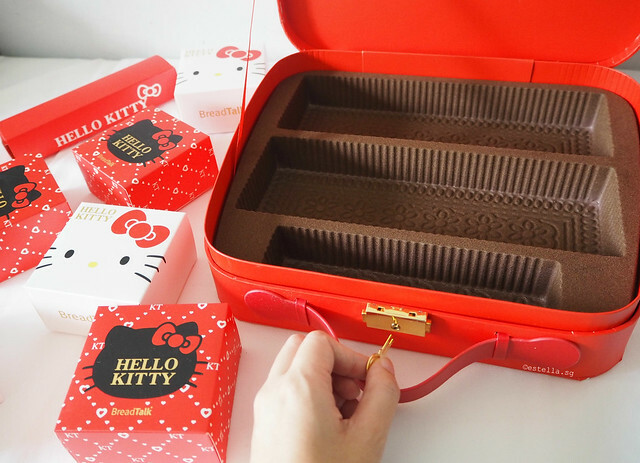 I love mooncake boxes for another reason – what I can do with them after the mooncakes are long gone. This box makes me jump for joy when I think about all the organising possibilities but the damper is that Joy has already laid claim to it. At the moment, Joy is uses it as a cash register when she peddles her Play-Doh “food”. It really helps that you can lock up the cash register. 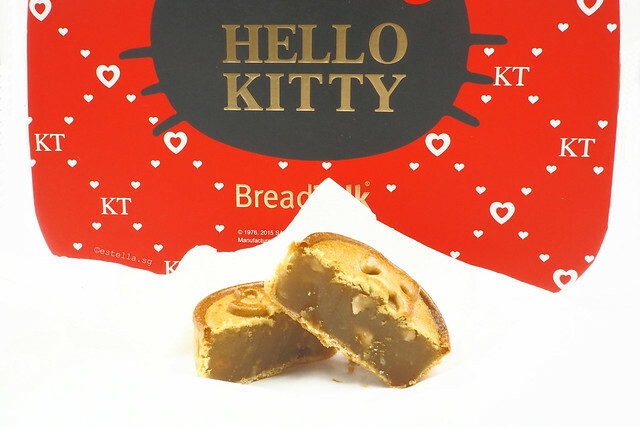 There are three flavours in each set of mooncakes and each flavour is marked with a different Hello Kitty design, completing the whole Hello Kitty experience. I like it that we can taste different types of mooncakes within the same set. 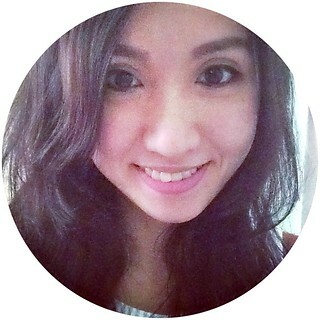 Are the mooncakes tasty? I was apprehensive too but I’m happy to report that they have overthrown my perception that nice packaging is not equals to nice food. Lotus with Cranberries is something different. There was a chewy sweet bite whenever I chance upon a cranberry and cranberries are well distributed, so that happens all the time. My favourite out of all three flavours. There were good sized chunks of Macadamia nuts and the crunchiness balanced out the sweetness of the paste and the taste of the skin. BreadTalk mooncakes are crafted with premium preservative-free natural white lotus paste, and the special yolk blend variety promises a generous bite of smooth egg yolk evenly–distributed through every slice. The real difference I experienced with BreadTalk®-exclusive Lotus with Yolk Blend is that you get yolk with every bite. This limited edition mooncake set costs S$59.80 and is available at all BreadTalk outlets island-wide from now until 27 September 2015. 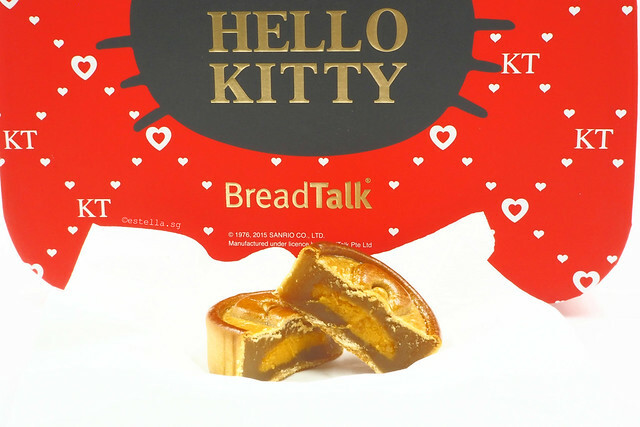 Disclosure: We were gifted with a Hello Kitty Mooncake Set by Breadtalk, no other compensation was received. All opinions our own.